Many of us are increasingly aware of our impact on the environment and we want to do something about it – whether that’s cutting down on how much meat we eat, cycling to work or trying to buy products with less packaging. We’re also changing our homes and the ways we garden to be more sustainable. Environmental friendliness isn’t hard to achieve – but how do you do it without your plot looking like an insect-filled jungle, complete with compost heap? Here are some ideas to make your front garden gorgeous and eco-friendly. Up to 70% of the UK’s water supply can end up being used for garden maintenance at peak demand, so reducing the amount of water your garden needs is a good, simple step. Try low-water planting with species that thrive in a Mediterranean climate, like lavender, rosemary or the orange bugle lily. Alternatively, harvest water during wet weather using rainwater butts – and don’t forget to ask your garden designer about attractive designs to suit your space. 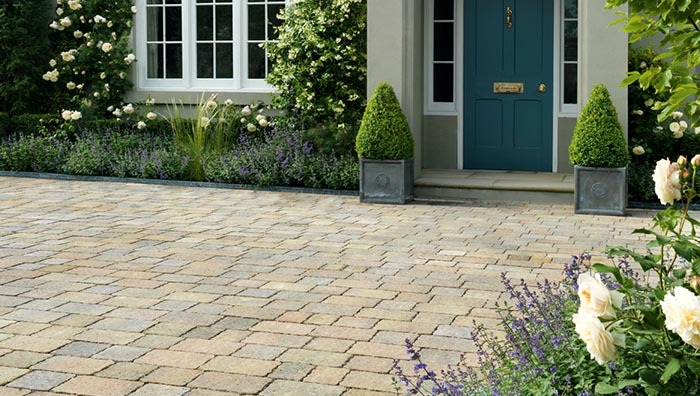 If you have a driveway or paved area in your front garden, take some time to investigate environmentally-friendly driveway options. Certain types of ground cover are impermeable, which means water runs off and overloads public drainage systems, instead of soaking into your soil and keeping plants and surrounding trees hydrated. 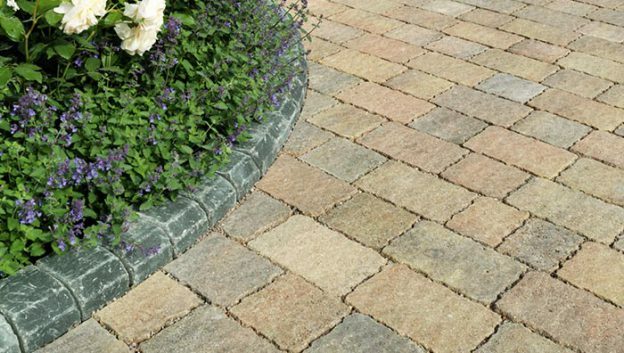 Permeable paviors are a driveway paving product that look just like traditional blocks, yet sits on a sub-base which allows water to drain away naturally –it comes in multiple textures and colours to suit your home; Trident Paviors and Rio Paviors. Early 2016 saw some of the worst flooding in the UK in decades. Even though the area you live in may not be at risk of flooding itself, mismanaging surface water run-off from your property can increase risk for communities downstream. Making sure your hard-standing area is suitable isn’t just a nice-to-do – since 2008, it’s been the law. 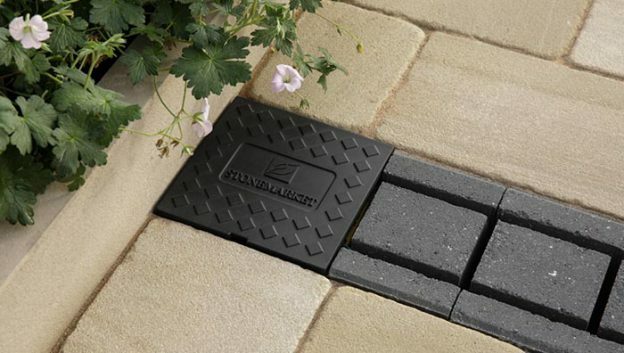 Sustainable Drainage Systems (SuDS) like Drainar and permeable paving help reduce flood risk and remove the need for planning permission, which alongside advice from our technical experts, will help you meet the required standard. In urban areas, air pollutants are common and, believe it or not, something which you can help combat with your front garden. A garden designer can advise you on which shrubs and trees will be best for your space, helping purify air while offering you a rich, leafy view from your window. Common ivy is particularly effective at removing air pollutants through a process called phytoremediation, and MIT researchers have found moving water can help clean the air, so a small water feature can also contribute to the health of your neighbourhood. Choosing lush native plants and leafy trees will make your front garden a haven for local wildlife. Make it even more appealing with pretty ornaments like a birdbath, which can look great when positioned on some feature paving. Log piles can create the perfect shelter for hedgehogs in colder months, and a small pond can be a great way to support frogs and toads. The best thing about this wildlife is they’re a natural predator of the bugs and slugs that eat our crops, so everyone benefits. It’s easy to make a few small changes in your front garden – and your gardening behaviour – to create a more environmentally-friendly space that still looks appealing. If you’re just starting out with your front garden, take a look at our guide to designing a front garden from scratch for more ideas.